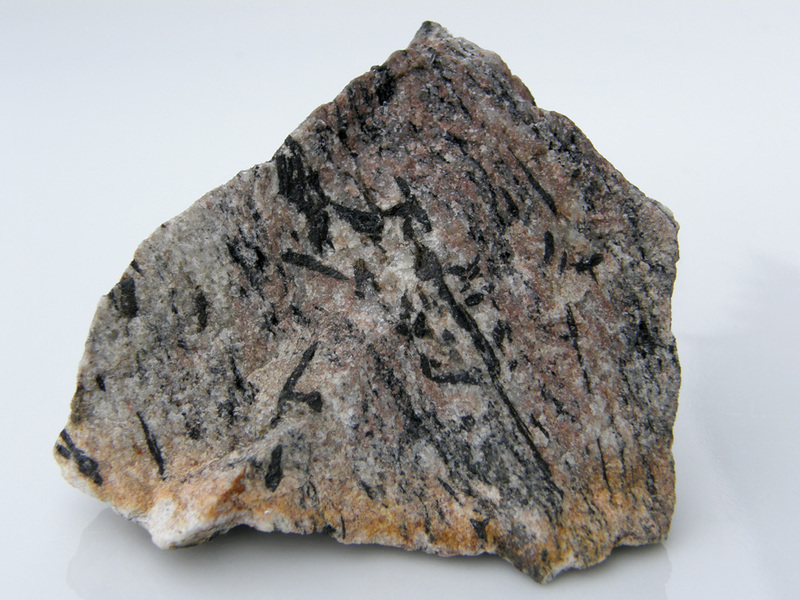 Høgtuvaite: Mineral information, data and localities. Empirical formula, including observed minor Na and Ti contents,(Ca,Na)2(Fe2+,Fe3+,Ti)6[O2|Be(Si,Al)5O18]. 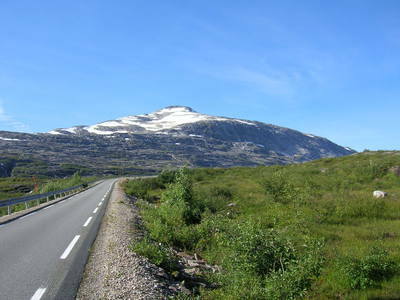 Named for the Høgtuva peak, the nearest significant reference point in the area of the type locality in Nordland, Norway. The peak is located about 7 km NW of the TL. It was first found in 1983 by Ingvar Lindahl (Norwegian Geological Survey) during uranium exploration in the area, and named by Grauch et al. (1994). This page provides mineralogical data about Høgtuvaite. Name published in the local newspaper, Rana Blad 4. August 1986, and also sold by dealers under this name prior to submission to CNMMN-IMA. Ubiquitous polysynthetic twinning; twin axis perpendicular pseudomonoclinic (010). 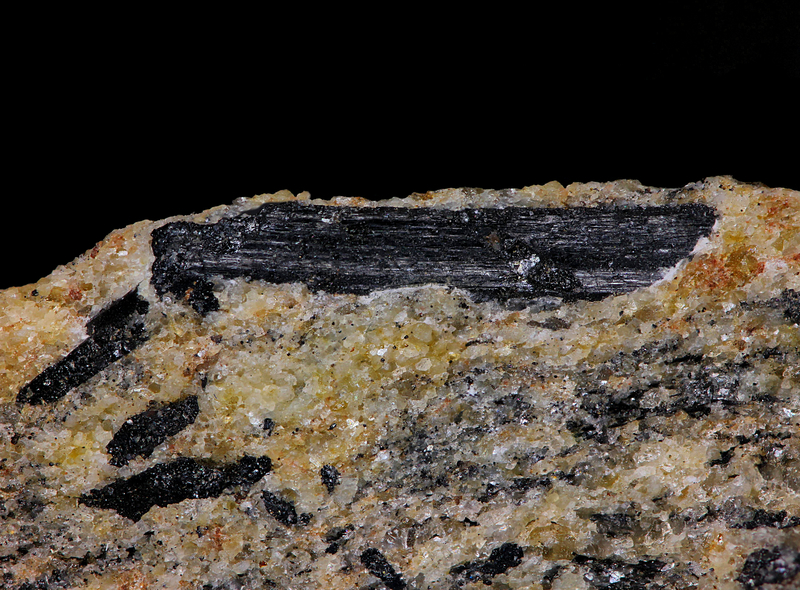 Black, elongate, poikiloblastic crystals up to 4 cm long. In the Mineralogical-Geological Museum, University of Oslo, Oslo, Norway and in the Smithsonian Institution, Washington, D.C., USA. Phenakite 1 photo of Høgtuvaite associated with Phenakite on mindat.org. Grauch et al. (1994) Høgtuvaite, a new beryllian member of the aenigmatite group fom Norway, with x-ray data on aenigmatite. 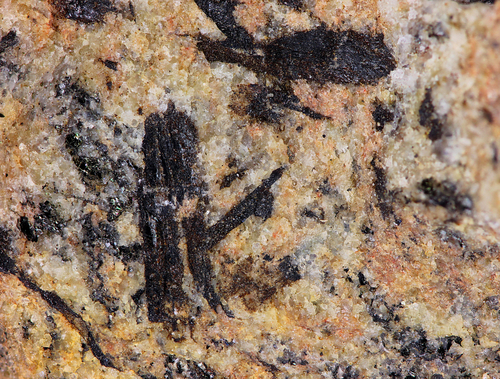 Canadian Mineralogist: 32: 439-448. Burt, D. M. (1994) Vector representation of some mineral compositions in the aenigmatite group, with special reference to høgtuvaite. Canadian Mineralogist 32, 449-457.